Follow us on Twitter @intertwine_eu or contact us directly. EPCC, the High Performance Computing Infrastructure at the University of Edinburgh, is a world-renowned HPC centre which works closely with both academia and industry. It operates an exceptional range of HPC facilities, including ARCHER, the UK's national High Performance Computing service. EPCC is the INTERTWinE project co-ordinator, and also has a significant technical role in the project, focusing particularly on interoperability of OpenMP and MPI, in the MPI end-point task, and in the Ludwig application work. BSC (Barcelona Supercomputing Center) is the National Supercomputing Facility in Spain. It hosts Mare Nostrum, the most powerful supercomputer in Spain. BSC's role in the project is primarily to look at interoperability issues at the API and runtime level, with a particular focus on tasks looking at interoperability between OmpSs and other languages, and between OpenMP and other languages. KTH Royal Institute of Technology is Sweden’s largest technical research and learning institution and one of Europe’s leading technical and engineering universities, as well as a key centre of intellectual talent and innovation. 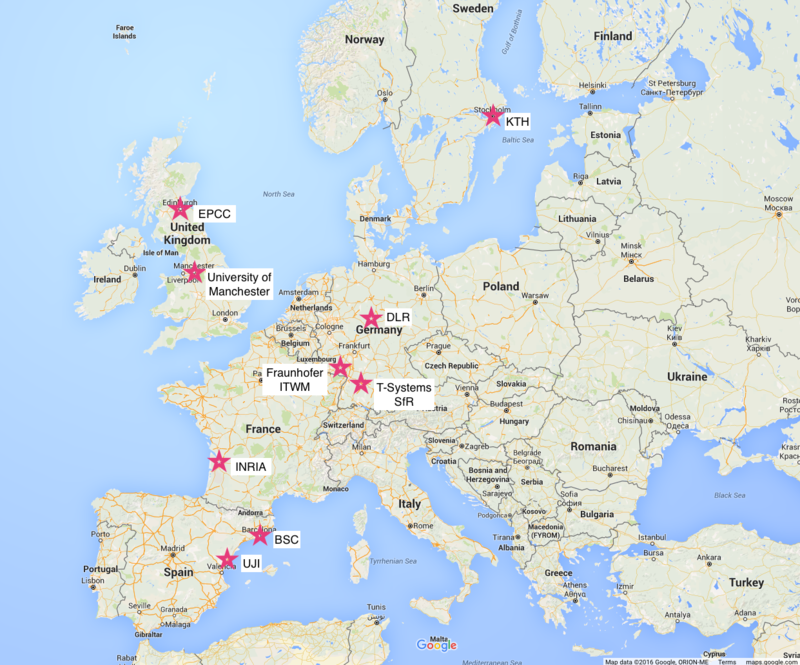 Within the INTERTWinE project, KTH is contributing to the pilot application and kernel efforts, particularly with the parallel iPIC3D code. Fraunhofer ITWM focuses on the development of mathematical applications for industry, technology and economy. It is one of currently 66 institutes of the Fraunhofer-Gesellschaft, an application-oriented research organization. As the main authors of GPI/GASPI, Fraunhofer's role in INTERTWinE is to look at interoperability issues at the API and runtime level, with a particular focus on tasks looking at interoperability between GASPI/GPI and other languages. DLR is the national aeronautics and space research centre of the Federal Republic of Germany. Its extensive research and development work in aeronautics, space, energy, transport and security is integrated into national and international cooperative ventures. As the TAU application owner, DLR's main tasks in INTERTWinE are: to work on requirements according to DLR's own experiences; to use TAU to test and demonstrate interoperability between the APIs of MPI and GASPI; and to investigate the applicability and benefits of the INTERTWinE runtime environments for this DLR CFD application. T-Systems SfR is a daughter company of T-Systems International (TSI), one of Europe’s top 5 providers of information and communication technology (ICT) services. T-Systems SfR forms the Business-Center for the R&D market of TSI. Within the INTERTWinE project, T-Systems SfR is developing a highly-scalable threading and communication model as well as corresponding open-source kernels for DLR's next generation CFD solver, with a particular focus on co-design between application kernel and the integration of GASPI/OmpSs and GASPI/StarPU. 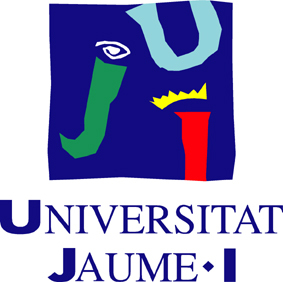 Located in the town of Castellón, Universitat Jaume I is currently the leading higher education and research centre in the north of the Comunitat Valenciana in Spain. The university 's international outlook has been integral to its philosophy since its beginnings. The primary role of UJI in this project is to produce a set of applications and kernels to support exploration of interoperability issues using concrete examples, with a particular focus on preparing graph-based kernels, which form an important part of the co-design process. Established in 1967, Inria is the only French public research body fully dedicated to computational sciences. Inria's missions are to produce outstanding research in the computing and mathematical fields of digital sciences and to ensure the impact of this research on the economy and society in particular. Inria's team STORM is developing the StarPU task-based runtime system for executing scientific applications on heterogeneous, accelerated HPC platforms. The INTERTWinE project offers the ideal context for the StarPU developers to investigate best practices and to design tailored APIs for efficient, trouble-free interoperation with other key HPC programming models, scientific libraries, runtimes, and networking supports. Formed in 2004 through a merger of Victoria University and UMIST (University of Manchester Institute of Science and Technology), the University of Manchester campus, with 40,000 students, is one of Britain's largest and most prestigious. It is renowned for its medical, nuclear, and physical science research. Manchester's role in the project is mainly to utilise and develop the PaRSEC parallel library to explore interoperability between INTERTWinE's programming models.